The Technical Confluences Indicator showed that the recent fall of the EUR/USD was powerful as it breached a critical cluster of support lines at $1.2360. This opens the door to dropping to much lower levels as support lines are few and far between. The $1.2360 region is the congestion of the Simple Moving Average 50-1h, the SMA200-15m, the Fibonacci 23.6% one-week, the Fibonacci 38.2% one-month, the Bolinger Band 15m-Upper (Stdv. 2.2), the Fibo 38.2% one-day, the SMA10-4h, and the SMA5 one day. The pair had some support levels spread out on the way down but worked its way through them. The next confluence of support lines is around $1.2260, which consists of the one-week low and the Pivot Point one-week S1. The one-month low at $1.2210 is next. In case the pair turns up, there is a lot of resistance to the upside. All in all, the path of least resistance is to the downside. 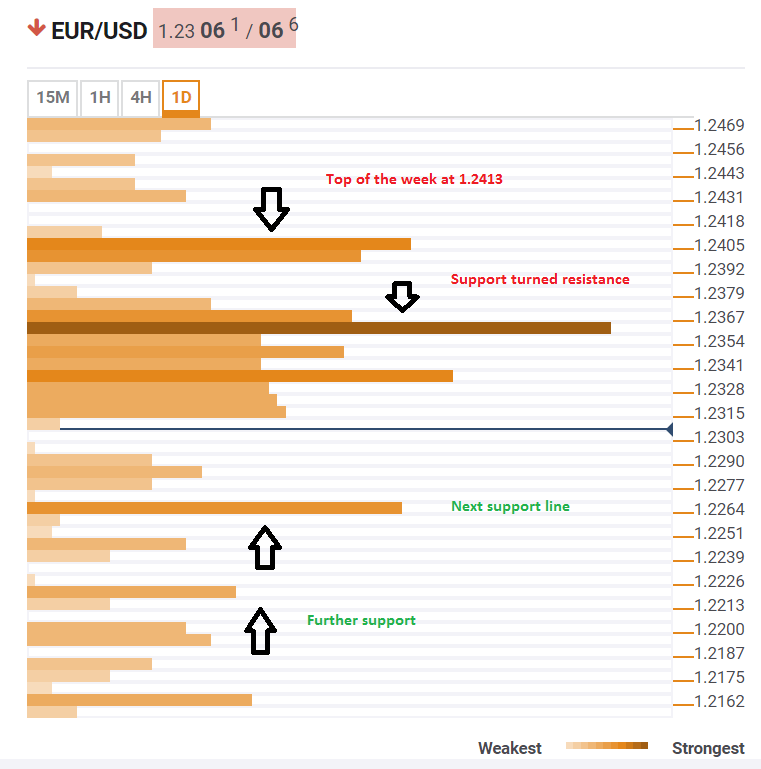 Did The EUR/USD Recovery Run Its Course?